Description: The Cape offers as close to true goggle performance as you can get without a strap. Adjustable temples let you dial in your fit, optimizing the performance of the AirShield to block wind, dust, pollen and other air-borne irritants. 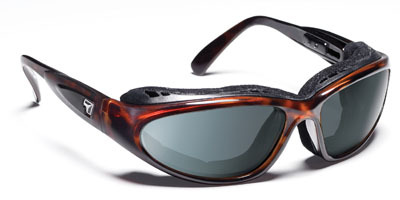 The AirShield is removeable, turning your Capes into great fitting casual eyewear. Click Here to see what tint will work best for you. RX Options: Suitable Prescriptions: ± 3.00 sph. ± 2.00 cyl.